We are excited to be adding a fantastic new peptide line to our spa family -Viktoria De’Ann Peptide Cosmeceuticals! This ahhmazing product line takes skin from a state of unhealthiness to one of optimum health, from the inside out. See how beautiful your healthy skin can be! What makes Viktoria De’Ann unique? Beliefs. Viktoria De’Ann believes in challenging the status quo. This is done is by providing professional products that are, safe, effective, affordable, simple to use, and beyond standard expectations. What makes this possible is Viktoria De’Ann’s ability to recognize, create, and formulate proprietary peptide messengers which can naturally communicate with the skin. What actives are used in Viktoria De’Ann’s Cosmeceuticals? Viktoria De’Ann uses Biological messengers known as peptides. These natural actives send different messages to your cells to accomplish different cellular responses, much like that of the peptides made within your own body. Using peptides goes beyond treating only moisturization; they optimize the actual cellular responses of the skin. You will also find chosen Natural Moisturizing Factors, Essential Oils, and Vitamins in Viktoria De’Ann products, which are important to skin health and beauty. No – Viktoria De’Ann products are Paraben-free. No. Viktoria De’Ann does not and will never test on animals. All of our products are formulated with safe ingredients. Products undergo a thorough laboratory testing followed by independent clinical evaluation in-vivo by human subjects. 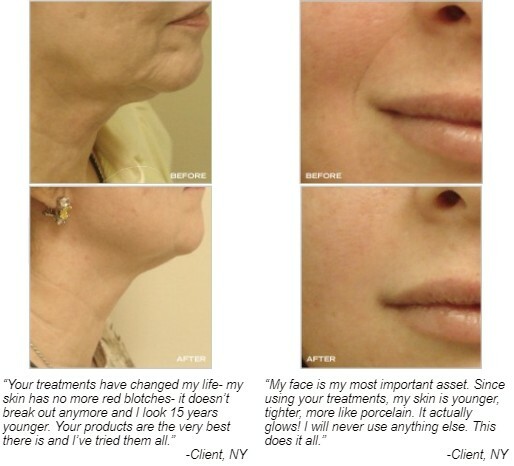 Call the Sanctuary Spa today at 603-890-6363 to learn more about how Viktoria De’Ann products will change your skin. We offer FREE skincare consultations to all first time clients.